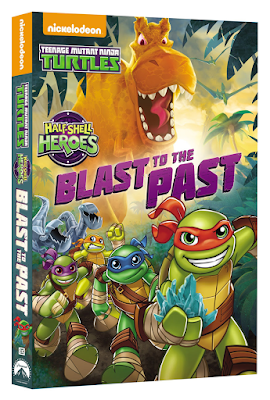 The Teenage Mutant Ninja Turtles find themselves on the adventure of a lifetime when they accidentally time travel back to the Jurassic Era in Half-Shell Heroes: Blast to the Past. During the 2D-animated special, the Turtles encounter friendly dinosaurs from the past and dangerous aliens from the future who have a nefarious plan of their own. Using their ninja skills and having some fun along the way, the four brothers must find a way to save the day and get back home. 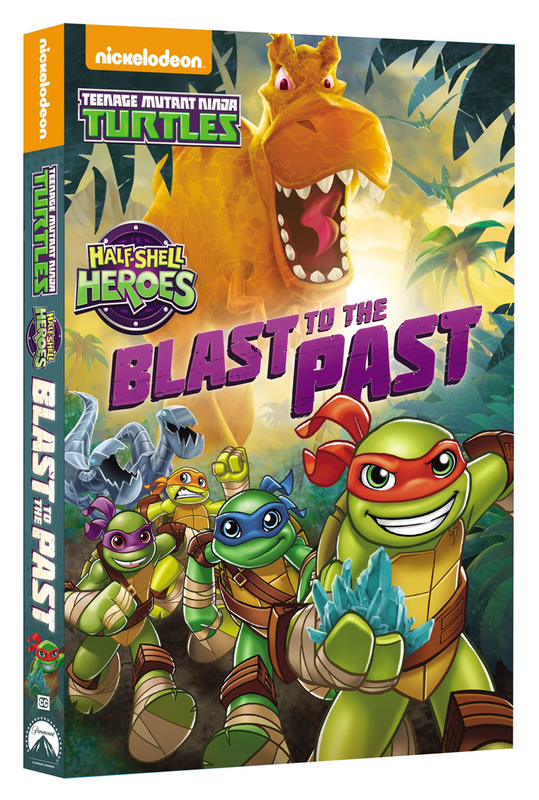 This special DVD comes with a fun Nick Bonus Disc (while supplies last) and kicks off the "Year of the Turtle" leading up to the 2016 theatrical release of Teenage Mutant Ninja Turtles: Out of the Shadows! Created by Nickelodeon and distributed by Paramount Home Media Distribution, this exciting adventure will be available on DVD March 15, 2016 for the suggested retail price of $14.99. Also be sure to watch our Free For All Fans Facebook page here https://www.facebook.com/freeforallfans/posts/1044425172282562 as we have a copy to give away to one lucky reader and will be doing so on Facebook!